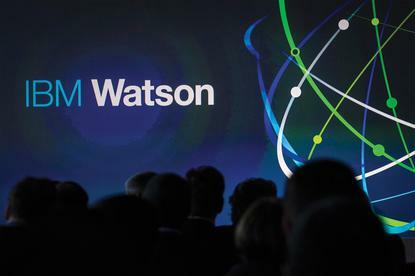 Jodie Sangster will join the IBM Watson team as CMO AI program leader as part of a new triumvirate of executives tasked with helping the Asia-Pacific marketing and commerce communities get a better handle on the application of artificial intelligence. Sangster announced her resignation from the helm of ADMA and its more recently unveiled parent group, the Australian Alliance of Data Leaders (AADL), last week after a seven-year stint as CEO. In a post to LinkedIn today, IBM director of Watson Customer Engagement (WCE) for Asia-Pacific, John Mullins, confirmed the high-profile industry leader had been appointed to a newly created role across the region, and is part of a team designed to help clients better make sense of, and employ, the vendor’s growing cognitive solutions offering. Sangster is being joined in the growing IBM WCE team by former executive director of sales and marketing APAC for AKQA, Jeremy Smart, as digital agency segment leader, along with former Adobe SaaS projects leader for APAC, Jon Sheiman, as AI platform leader. “Our focus at IBM Watson Customer Engagement is on developing a thriving interchange between clients, partners and agency leaders, that are using Watson powered AI to change the way in which we all do business,” Mullins stated in his LinkedIn post. “This requires a very particular set of skills and experience to push the frontiers of artificial intelligence in marketing, commerce and supply chain. “Building and nurturing these critical CMO and agency relationships is a top priority for the IBM WCE business across Asia-Pacific. We’ve seen the impact Watson can bring to brands and agencies by embedding AI into the everyday applications of marketing and ecommerce professionals. This impact is to help them take action with confidence - delivering insights and uncovering market opportunities. Sangster is specifically tasked with leading discussions with CMOs across Asia on the big picture of AI in marketing. Mullins said her experience as CEO for one of the industry's core associations was a key reason for her appointment. “We are excited to bring fresh perspectives to IBM Watson Customer Engagement and it’s a pleasure to welcome individuals as well-respected as Jodie, Jon and Jeremy to our team,” Mullins added. The Watson Customer Engagement team is not new, but an extended version of the original IBM Commerce team with a broader focus on AI in marketing, commerce and the supply chain.